undergoing training through the National Development Council. Brian Walters and Jim Griggy, both Certified Business Advisors, have received certification as Economic Development Finance Professionals. The certification is a professional credential signifying that the recipient has successfully completed the National Development Council’s intensive economic development finance training series. The training involves four courses, each conducted over five days concluding with an exam. 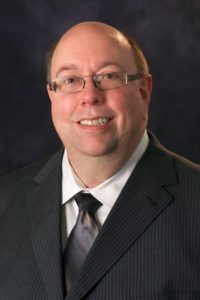 Walters graduated from the University of Akron and holds a bachelor’s degree in Marketing, as well as a Master of Business Administration from Youngstown State University. He is certified in Ohio SBDC Integrated Quality Assessment and Growth Wheel training for use with start-up and existing small businesses. 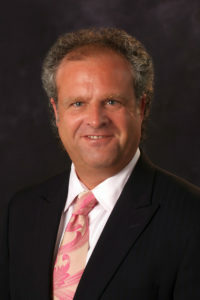 Griggy holds bachelor’s degrees in Industrial Management with a concentration in Personnel, in Computer Science and in French, all from the University of Akron. He is certified in Ohio SBDC Integrated Quality Assessment and Growth Wheel training for use with start-up and existing small businesses. The Small Business Development Center (SBDC) at Summit Medina Business Alliance (SMBA) is at Bounce Innovation Hub, 526 S. Main St., Suite 601, Akron, Ohio. The center offers business consulting as well as educational workshops to the small business community wanting to start, sustain and grow their businesses. Services are available at no cost. For more information, visit www.akronsbdc.org. The National Development Council directs capital to support the preservation and creation of affordable housing, the creation of jobs through training and small business lending and the promotion of livable communities through investment in social infrastructure. The council is headquartered in New York City with offices in Washington, D.C.; Seattle, Wash.; Cleveland and Cincinnati, Ohio; and Edgewood, Ky. For more information, visit www.ndconline.org. It takes a team to achieve the results Ohio reached in 2018 and the Governor’s Cup rankings are a testament to that. Site Selection released its annual Governor’s Cup rankings, and Ohio earned the No. 2 spot for total qualified projects in 2018 for the fifth consecutive year and placed third in qualified projects per capita. The recognition makes Ohio, for the third consecutive year, the only state to place in the top three of both categories.